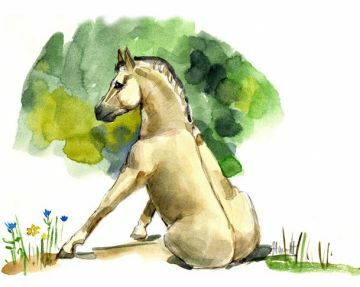 The modern Norwegian Fjord horse is a descendant from wild horses in Norway that were first domesticated over 4000 years ago. 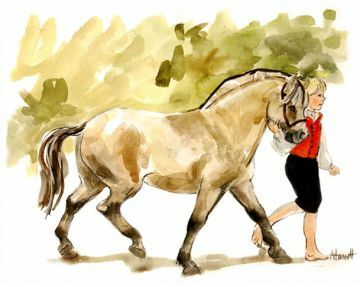 As one of the world’s oldest and purest breeds, Fjords still retain the original color and markings of their wild ancestors including the dun color, the dorsal stripe and sometimes even “zebra” stripes on their legs. 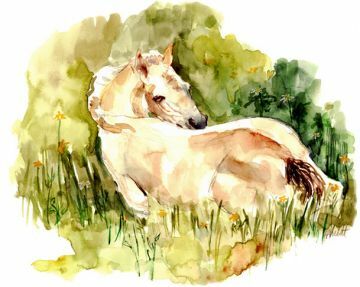 Sharon’s paintings of Fjords reflect her love of horses and her special fondness for the Fjords. 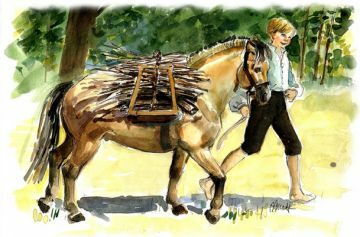 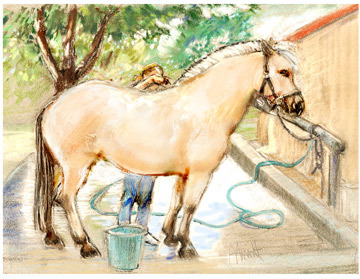 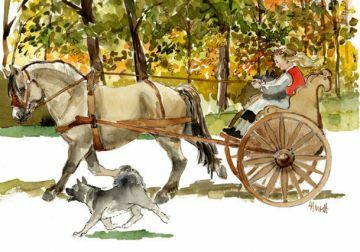 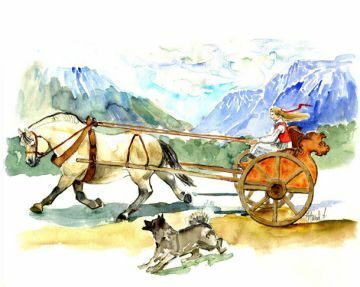 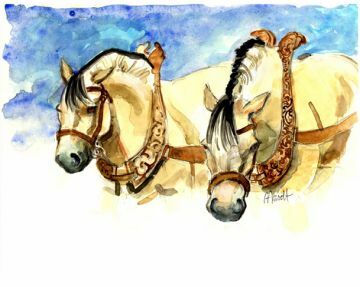 Her beautiful mare, Silka was the model for many of her paintings.